We believe if we are to be responsible for the final outcome of performance we want to be there from the foundation. Redline’s wide experience in engine development has been a key success to this. ALL of our engines are built in house, as we take a great amount of pride in having total control over which parts are selected based upon the customer’s power goals. We are well aware of the factory engines capabilities and when a custom is looking to pass that threshold, the knowledge to provide rock solid recipes is an asset. Our engine program is very well supported by many great industry leading suppliers so we are confident in final product. This internal control also allows us to control schedule of builds as we are not at the mercy of independents. When a request is made for a new power plant our first step is determine that max power the engine needs to produce to meet the customers goals. The key to a high powered engines longevity is to use parts that are stronger then the intended load they will withstand. Typically we start with the engine block as its the foundation of the engine. 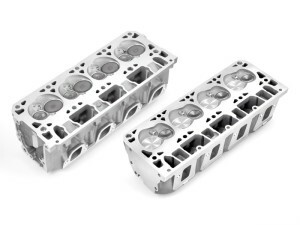 A few of the production GM engine blocks are very well suited for use in making serious power. However there is a limit which is when we step to a number of aftermarket options. 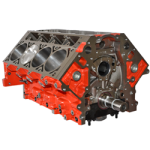 RLMS has been a big fan of the GMPP LSX Iron block which has more then proven its strength at power levels up to 1800 HP. Our aluminum options at high power are the ERL Super Deck as well as the DART Next Gen.
Once the block has been selected we focus on the rotating assembly. This again is an area where much thought is used as the options are numerous. A rotating assembly we would use in a 7800 RPM road race engine is quite different then a 1500 HP twin turbocharged engine. Our experience with a all facets of racing is what allows us to make the right choices. We are dealers for several manufactures such as Manley, Diamond, JE Pistons, Callies, Carillo and Sonny Bryant. 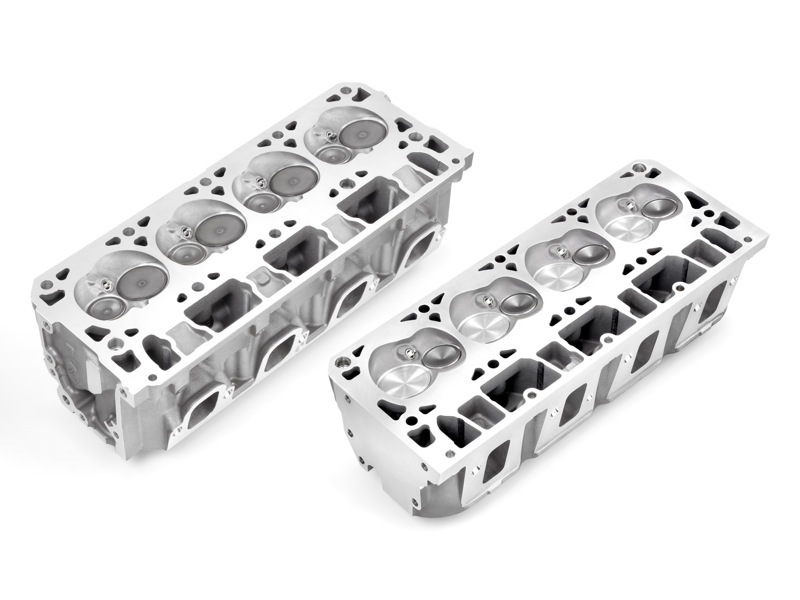 Moving up on top of the short block is our focus into the cylinder heads. The gateway in and out! This again is an area that much thought is placed to fulfill the intended goal. A factory LS/LT motor uses 4 bolts per cylinder for clamping. For many applications this is more the adequate. However in applications where very high cylinder pressures are experienced this is not enough. Fortunately the industry has embraced this need and offers a 6 bolt configuration. Of course this can only be used if using a 6 bolt block such as the LSX and Dart Blocks. Our relationships with MAST Motorsports, Trick Flow Specialities and All Pro pretty much cover the range we need. All of our engines are meticulously assembled as the win is in the details. Bearing clearances, ring end gaps, piston to wall clearances as well as block trueness are just a few of many specifications we accurately setup. All engines are fired up on Gibbs BR oil and then drained, reloaded with new BR oil for break in and then switched over to the appropriate formula for that engine. By now many are familiar with the latest GEN5 small block engine that utilizes Direct Injection Fuel Control. Very similar to the prior years but there are some significant details to be considered. Redline became very active with the new DI motor in late 2012 and has a firm grip on design and implementation. For some great articles on some of the unique differences please check on these articles noted below!